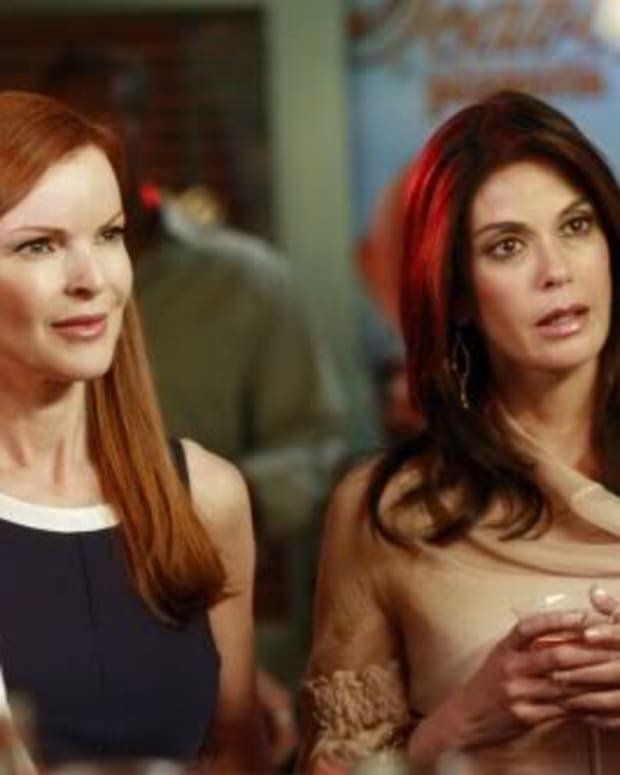 Teri Hatcher on Desperate Housewives Movie: "I Don't Really See That Happening"
Will Susan Mayer Delfino and the rest of the inhabitants of Wisteria Lane ever reunite on the big screen? During a recent interview withExtrato promote her new animated flick Planes, Teri Hatcher fielded questions about a possible Desperate Housewives movie. Watch the segment after the jump! Nicollette Sheridan OUT at Desperate Housewives!